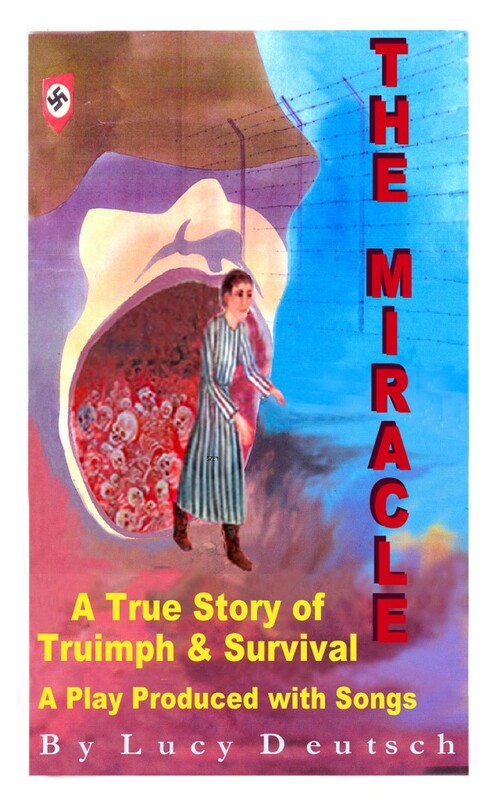 This potent true story, “The Miracle” the play is a depiction of Lucy Deutsch. It starts at the age of 14 until the present. this story is heart-wrenching and uplifting. Enjoying happiness at home. Still 14, when she finds herself in Auschwitz alone among 600 adult women she learns early to be determined to keep her integrity undamaged against all odds, even though her life hangs in the balance daily. Later, becoming an orphan, thrown into a Russian prison, she uses her unwavering belief in herself to accomplish the impossible. her 25 songs she wrote for this play depict, freedom betrayal abandonment, yet they uplift the human consciousness. Her story brings the worlds awareness of the Holocaust never seen before.